In my life as the wife of a wounded hero with PTSD (post-traumatic stress disorder) and mom to a five-year-old, one of the things that keeps me awake many nights is a single, endlessly echoing question.... "What am I letting her (my daughter) learn about how men in general, and most importantly her one day husband, are supposed to act?" My grandmother, a wise woman whose kind eyes and gentle spirit I still miss on an almost daily basis, pulled my dad aside on the day I was born and explained to him that he would be responsible for determining the type of man I married. She explained that he would set the stage for the way I expected to be treated, for the way I thought a man should react to his family and to the world around him. As a result, my dad carefully guarded our relationship, making sure I always felt loved and witnessed in him kindness, respectfulness, and an extremely high level of commitment to the welfare of his family above any personal need. When I married my dear husband, before the Army, and combat, and the resulting TBI (traumatic brain injury) and PTSD, he was a very close carbon copy of the man I grew up with. He was amazing with children - kind, patient, and level headed. He was also incredibly tender and loving toward me (we were one of those sickeningly sweet couples that people stop in stores and restaurants to tell how "cute" they are together). He was human, of course, but barely :). My daughter, though, will never know that man. She was born during my hubby's second deployment and by the time she began to get to know him seven months later he had already been changed by the injuries he had sustained. Even good days, where he fought with every ounce of his being to be "daddy", could still evaporate into a storm of PTSD/TBI fueled mess. So, now, I'm faced with "the question"... how to teach my daughter about men while also laying a foundation of love and respect for her own dad (even when his disabilities bring out qualities that decidedly AREN'T what I want her learning are "acceptable"). It's an ongoing process, but here are some guidelines and tools that I've developed that are working pretty well so far. While I apply these to the daddy / daughter role, I think they're applicable also in the world of sons and fathers! 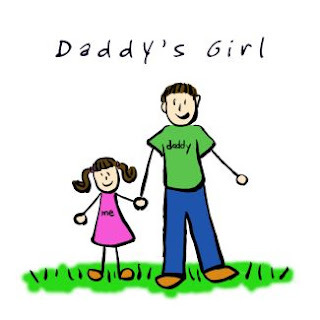 #1 - Make the most of "good days": My husband and I openly talk about activities that he can cope with and that he enjoys doing with our daughter. Then, during good times, I make these activities a family priority. I step aside and put the emphasis on the two of them having time together. Things may not always be done exactly how I would do them, but as long as they're safe and happy, that's all that matters. Memories outweigh the other stuff. #2 - Outside "Male" influences: I've actively encouraged her relationship with her grandfather (my dad) and two uncles. She has different things she loves to do to spend time with each of them. I've talked openly with the three of them about the challenges our family is facing, about the fact that I need their help, and that I'm proactively addressing this issue (while not AT ALL undermining my hubby's role as her dad!). I always make sure, though, that when we're having "good PTSD days" that my husband and daughter get as much time together as possible (see item #1). #3 - Talking openly about PTSD: Even at five years old, my daughter is old enough to understand that my husband is injured. I talk to her honestly (in an age appropriate way) about the fact that daddy's head was hurt and that that means sometimes he does things he shouldn't do. I always make it clear when behavior isn't appropriate, but I do so in a loving way, reminding her that we love her daddy. I often say things like, "What daddy just said isn't something you should ever say, it's not okay for anyone to say and daddy didn't really mean to say it. Remember, since the inside of daddy's head is hurt, sometimes he says things he shouldn't say. Let's give daddy a few minutes to calm down and then we'll go tell him we love him and ask if we can help." This lets her know that the behavior isn't appropriate but also lets her know that it's something we're working on together. At five, she's a big "helper", so this makes her feel included. But, I'm also careful not to push that "helping" to a point that she feels like she could fix or prevent any of my dear husband's issues. That's not something any kid needs on their shoulders! #4 - Making sure apologies are given: My hubby is (thankfully) pretty good about this. I think it's something many PTSD sufferers get better at as they learn to handle and cope with post-traumatic stress disorder. But, if your veteran isn't to the point yet where apologies are an "automatic", you may need to help with a reminder until they are. It is important for kids to hear "I'm sorry" from the source. If my husband looses his temper, once he's calmed down he goes back and tells our daughter he was wrong, that he shouldn't have lost his temper, and that he's sorry. While I can explain to my daughter what's going on (item #3), I can't apologize for it. That's on his shoulders, and should be. It lets everyone move forward with a clean slate. So, there you go! This is working for us so far :) I'd love to hear from others out there in "PTSD world" about how you're handling this sticky subject!! Thank you for this post and many others that I have been reading. We are only 18 months into this PTSD and mTBI stained life. With our 3 babies (5.5, 4 and 7 months old) I have been so saddened by the changes and the fact that they'll never remember or know their loving Daddy who left almost 3 years ago. Big hugs, S and J plus 3! I know its tough... and the first few years are the hardest. Keep at it. You, your hubby, and your sweet little ones can find a new "normal". And remember, you're NOT ALONE! 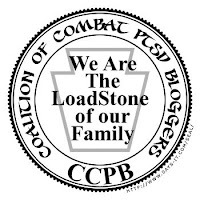 I just added the links toward the bottom of the blog post, including a new link about Secondary PTSD in children that will be active sometime tomorrow.